Well Happy New Year to ME! This is Triple Brow – a buck we first saw in June walking through our soybean seedlings and knew he was going to be big! 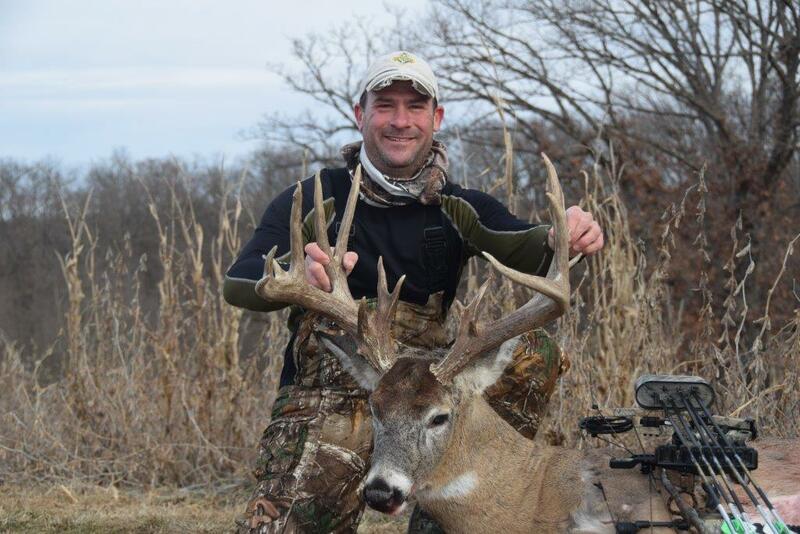 He had three brow tines each side even then! The short short story on this deer is, as I’ve done many years, I hunted this one buck the entire season. Finally everything came together New Years Eve and I got a 12 yard bow shot at him.